In a day’s time, I take my mammogram and ultrasound results to my oncologist to garner his opinion about the way forward in the latest turn of my journey as a cancer survivor. Last year, my oncologist pushed for a biopsy when some suspicious matter was found just a year after my surgery and radiation treatments in 2012. He didn’t want me to suffer through a six month waiting period to learn whether some indeterminent tissue was cancerous or benign. He felt we needed answers sooner than later. So, the biopsy took place and thankfully, the mysterious area was identified as benign scar tissue. Fast forward to this time and this space, and more indeterminent tissue and suspicious matter have been located in the same spot as the past two years. Do we go in again and identify the tissue now, or do we wait six months as has been recommended by my radiologist? In the midst an uncertain time such as this one, I am led to wonder what my God is saying to me. My heightened need for His help causes me to dig deeper in the Word to ascertain His guidance and receive His assurance. I am never disappointed when I seek my God so desperately. Of all the words I could have focused upon in these verses today, guess which one I felt led to study? Believe it or not, I chose the word worm. I can’t say I’m a fan of worms. I’m not. Yet, I wondered why, of all words, God would select to identify Jacob as a worm. As I probed these answers, I was completely blown away! First of all, the word worm comes from the Hebrew transliterated word, towla. Towla is not a generic word for worm. 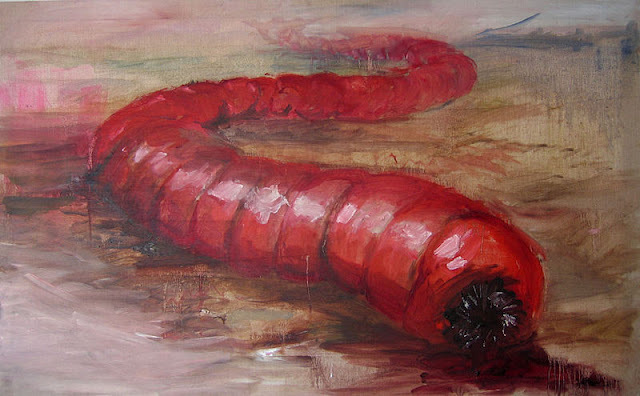 This particular worm is known as the female scarlet worm or crimson worm. Its Latin name is coccus ilicis. It’s also known as the kermes insect. She’s not particularly pretty. However, her value and purpose are not found in her appearance. In the life cycle of the scarlet worm, the female will search out and climb up a kermes oak tree. These are relatively small trees growing to just over six feet tall (2.2 metres) in the Mediterannean region, to northern Africa and as far east as Turkey. 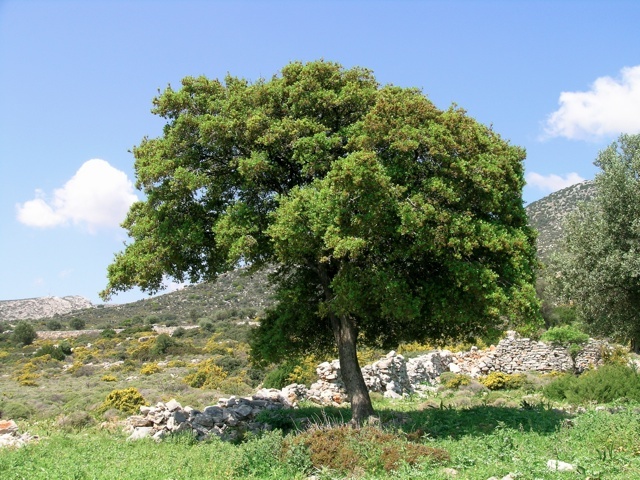 The kermes oak tree is hardy and serves as the plant food source to the crimson worm. When the female crimson worm finds the kermes oak tree of its choice, she ascends the tree with purpose. Upon locating a space for her to attach herself on the tree, she secures herself there permanently. This worm has come to this point in time to birth and shelter her young and then ultimately die. As she lays her eggs, the scarlet worm secretes a crimson fluid-like gel that envelopes her entire body and every egg that is laid. A crimson red stain bleeds upon the kermes oak tree as well. 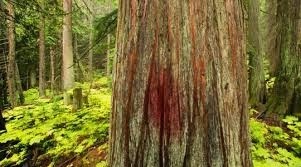 Even after the young are born and the mother dies, the crimson red stain will remain throughout the lifetime of the tree. Here is a kermes oak tree with the permanent red stain left by the crimson worm. After four days, the mother worm pulls her head and tail together into the shape of a heart before her death enfolding her young. Her crimson red body bled of all its vibrant color is now covered in a wax-like substance that is white as snow! Finally, in death, a sweet fragrance rises from her limp body. For it is true, my God promises His love, His care, His protection, and His empowerment through the covering of the blood of His Son, Jesus Christ. Even as I contemplate the ‘what’s next’ of my journey, I am sheltered through the redeeming and life-giving sacrifice of my Savior. His Presence enfolds me. He willingly offers up His strength and empowerment to propel me forward as His willing instrument in the days ahead. In the words of Isaiah, a tiny worm was transformed into a threshing instrument to reduce a great mountain to dust! For that is what a threshing tool is; it is just a tool to do its Master’s bidding. I can’t tell you what an encouraging set of verses these were for me today! God, we don’t have time for another round of cancer. We’re moving in two and a half weeks. God, this cannot be happening now. We’ve got significant ministry opportunities ahead in the next five months. God, Jake and Caleb have special needs. I am homeschooling them. Who will teach them if I have to do this cancer stuff again? God, John is my husband and partner. We do life together. I don’t want to add to his burden. God, if this is cancer again, what does that mean for the future of our family here in South Africa? And so my thoughts circled and circled and grew and grew into a formidable, unfriendly mountain. I couldn’t feel the sheltering and protective Presence of my God. I didn’t acknowledge the life-giving covering of my Savior and His care. I didn’t remember my purpose. Granted, now after one doctor’s visit, and another appointment tomorrow, I have more information that something could be there again or it could not! My situation remains just as unclear as it was before I walked into my doctor’s office on Friday. Though my situation is not much different from a week ago, I have a little worm to thank for the sense of peace I feel. I sought help from my God, His assistance came in the body of a little scarlet worm who reminded me of the supernatural covering of life, peace and redemption I have in Christ. The staining of an oak tree in her death symbolizes the blood of Christ shed on the cross of Calvary for me. A tiny worm laid aside its right to life and served as a life-giving instrument to others. 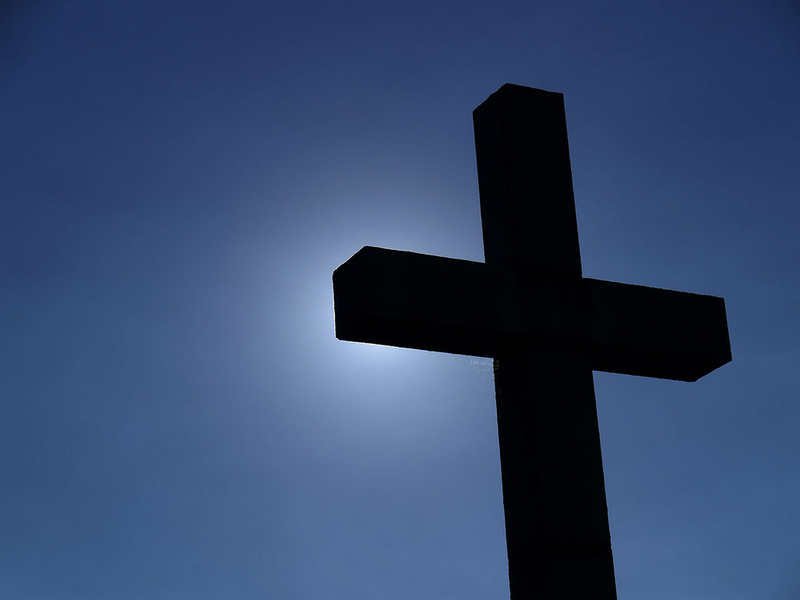 Purpose, hope and glory sprang forth through her sacrifice. My Savior did the same. Jesus Christ set aside all of his rights to live as God because of His love and care for me and for you. No matter what happens tomorrow and what is decided during my visit with my oncologist, I am sheltered under the crimson covering of my Savior and Lord. His protection silences my fears and worries and I am comforted. I was reminded of this empowering hope; all thanks to a little, red worm who chose to climb up a tree and die so that others may live. Oh so meaningful! Amazing how when we study one word in the Word that seems to be a putdown – God uses it to show it is really lifting us up to a higher place! Praying for you for His Peace as you wait! Yes, that is even more amazing!